The film opens on a more languid note. A group of Indian musicians plays a song, hypnotic and dreamy, beneath a tree filled with chattering monkeys. A white man, taking shade from the heat, observes from the broad veranda where he lounges. 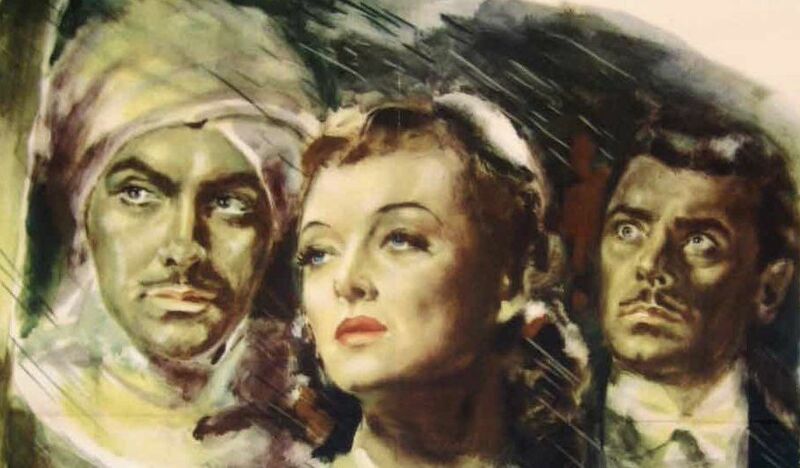 This lighter tone persists as the man, British expatriate Tom Ransome (George Brent) is visited by his good friend, Major Rama Safti (Tyrone Power), and then by an American missionary's wife bearing a party invitation. Later on, lovely and wayward Lady Edwina Esketh (Myrna Loy) arrives in India and the mood begins to shift with her troublesome presence. Halfway into this lavish forbidden love/disaster epic, a massive earthquake strikes and triggers a catastrophic flood. As the plot's steamy intrigues have stirred the emotions, so the cinematic vision of quake and flood overwhelms the senses. For these thrilling sequences the very first Oscar for Best Special Effects was awarded to Fred Sersen (visual effects) and E.H. Hansen (sound effects). The Rains Came, produced by Darryl F. Zanuck and directed by Clarence Brown for 20th Century Fox, was nominated for another five Academy Awards. It's believed that the first in-camera special effect was part of a short film sequence titled The Execution of Mary Queen of Scots (1895). The effect of a be-heading was achieved with the use of a dummy and a shot known as a substitution shot or a stop trick. A few years later pioneering George Melies produced his 14 minute effects-laden La voyage dans la lune/A Trip to the Moon (1902) and by 1923 Cecil B. DeMille was able to simulate the parting of the Red Sea for the first time with his original version of The Ten Commandments. When the first Academy Awards were presented for 1928 a plaque for Best Engineering Effects was given to Roy Pomeroy for Wings, but the category did not continue. An honorary award was presented to Gordon Jennings (and shared with others) for effects created on 1938's Spawn of the North; the following year the Best Special Effects category was established. 1939, that banner year of legendary Hollywood films, was Gone with the Wind's year when it came to record-breaking Academy Award wins (eight). Among the five it did not win was the special effects award taken by The Rains Came; a total of seven films had been nominated in the category including The Wizard of Oz. The Rains Came was based on Louis Bromfield's best-selling 1937 novel, The Rains Came: A Novel of Modern India. Set in the fictional Indian state of Ranchipur during the last years of the British Raj, the story follows three principal characters. Tom Ransome (Brent) is a charming sot of a British 'younger son' (aristocrat) who arrived Ranchipur seven years earlier to paint a still unfinished portrait. Lady Edwina Esketh (Loy) is the jaded and promiscuous trophy wife of the much older and unrelentingly boorish Lord Esketh (Nigel Bruce). Major Rama Safti (Power) is a high-caste Indian doctor who trained in the U.S. and returned to Ranchipur, bringing with him the modern practice of medicine and enlightened social values. Early on, Ransome and Lady Esketh, former lovers, meet at a party in the royal palace. After the two slip away from the festivities for a bit of private passion, they return and Lady Esketh's roving eye falls upon the handsome 'pale copper Apollo,' Major Safti. To Ransome's displeasure, Edwina makes it clear she plans to seduce the young doctor. Meanwhile, Ranchipur looks forward to the end of its dry season and all anxiously await the coming of the rain. When it comes, it arrives in an unending torrent. Soon a powerful earthquake hits and the swollen local dam collapses. The ensuing calamity disrupts the best laid plans, virtuous and scandalous alike, of everyone in Ranchipur. According to The Hollywood Reporter, the film was budgeted at $2,500,000 with $500,000 for sets and $500,000 for the flood and earthquake scenes. 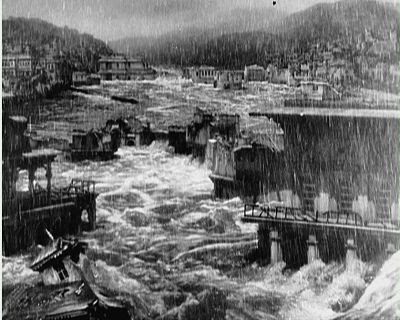 A tank holding 50,000 gallons of water was constructed on a Fox sound stage to create the effects for the flood scenes. 350 grips, carpenters and others worked on these sequences for more than a month. It was author Bromfield's philosophy that "the story must grow out of the characters, their environment and background" rather than "be imposed on a plot." 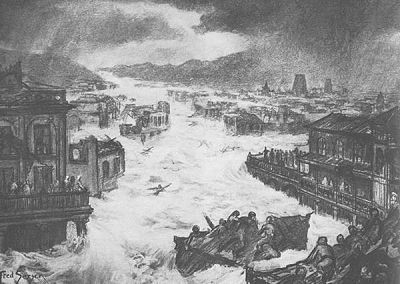 The natural disaster of the earthquake, along with the flood, fires and cholera that follow, profoundly alters each main character. Tom Ransome and Lady Esketh, both molded in the world of the British aristocracy, are transformed. Ransome, whose expat life in exotic Ranchipur had grown dissolute and stale, is restored, finding new purpose in the aftermath through service to the Maharani and in discovering new love. Edwina Esketh, once the incarnation of chilly self-indulgence, volunteers at Major Safti's hospital. Having fallen in love with the doctor and no longer in predatory pursuit of him, she wishes to be useful and helpful in his work. Noble Major Safti, who has been a model of duty and devotion to his country as well as a symbol of "the new India," realizes that he cannot - and will not - reason away what has awakened in his heart. These characters and a narrative of illicit love set in a colonial outpost are what make The Rains Came connect as something more than a beautifully filmed and scored special effects extravaganza. Cast against type (something that rarely happened once she became MGM's "ideal wife"), Myrna Loy is entirely believable as man-eating Edwin Esketh, a spoiled woman who is humbled and changed by love and circumstance. Sparks fly when Loy shares the screen with Tyrone Power. One of Power's strengths is his ability to underplay in intimate scenes. His resonant voice softens and takes on a hint of velvet as he communicates emotion through his eyes. The effect is heart-melting warmth. 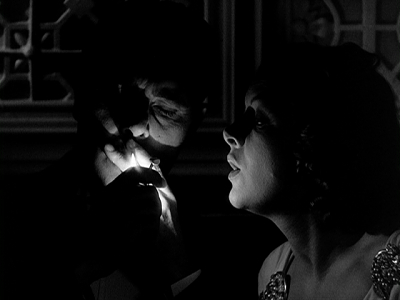 Loy and Power share one especially tender scene that takes place in the early morning on a hospital ward. That scene is included at the end of the following clip which also contains a classic sequence in which the very tired Lady Esketh makes and then realizes that she's made a horrific mistake (listen for the sustained-string musical cue): 6/3/13 update: the YouTube clip originally included below was recently deleted from the site. George Brent, who received third billing, is the actual male lead and he, like Loy, believably conveys his character's transformation, in Ransome's case from roue to responsible citizen. Ransome's involvement with infatuated young Fern Simon (Brenda Joyce) is the film's other dangerous romance. She is very young, he is decades older and has a reputation. This was Joyce's film debut and it shows. She is a beautiful girl but green and awkward onscreen. Zanuck had initially considered Lana Turner for the role but, unfortunately, settled on the Fox starlet instead. Solid in supporting roles are Nigel Bruce (Lord Esketh), Maria Ouspenskaya (Maharani), H.B. Warner (Maharajah) and Mary Nash (Miss McDaid). As was the custom then, all the key Indian characters are portrayed by Caucasian actors: Power, Ouspenskaya, Warner and Joseph Schildkraut (Mr. Bannerjee). Alfred Newman's stunning score for The Rains Came is a favorite of mine. Dramatic (the main theme) and romantic (he uses the sweet and haunting "Hindoo Love Song" as Lady Esketh and Major Safti's love theme), it is also chilling (the music cues that signal danger, as in the scene shown above). Newman received an Oscar nomination for his score (as well as for three other films he scored that year: Wuthering Heights, The Hunchback of Notre Dame and They Shall Have Music). In all, Alfred Newman was nominated for 45 Oscars, won 9 (a record) and is considered one of the "three godfathers" of film music along with Max Steiner and Dmitri Tiomkin. The Rains Came does not masquerade as a realistic depiction of India in the 1930s (there is no mention of Gandhi or British oppression), it is a visually dazzling romantic epic - a true Hollywood Movie - and one of the best and most popular of 1939. The Rains Came airs Friday morning, February 8, at 9:30am Eastern/6:30am Pacific on Turner Classic Movies as part of its annual "31 Days of Oscar" celebration. This post is my entry in the 31 Days of Oscar Blogathon hosted by Once Upon a Screen, Outspoken & Freckled and Paula's Cinema Club. 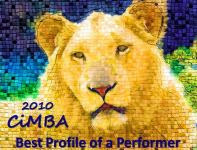 Click here for a link to a listing of participating blogs. I don't recall ever having seen this. Your images and descriptions make me think this is one I should take a look at. It would be nice to see Loy play against type, too. Kim, I first saw "The Rains Came" on TCM sometime in the last three years. Turned out to be a romantic spectacle after my own heart. I hope you enjoy it. Myrna Loy as Lady Esketh is one of my favorite performances of hers. Like so many great stars, she was very popular but her acting ability was underrated. In her memoir she mentions that Louis Bromfield thought Lady Esketh was the best performance of her career to that point. Great job Lady Eve on selecting this film and reviewing it for us. I recently saw it and agree with you about what a surprising gem it is when you on it unaware. It is excellently acted, with an intriguing plot and great special effects for its day, and still thrilling to watch now. It's also interesting to see Myrna Loy as a character of opportunistic morals. With Tyrone Power and George Brent in the cast, I think it deserves to be added to the group of outstanding movies of 1939.Thanks again for selecting this film and highlighting its special qualities. Christian, Like you I was unaware of this film for years. I've seen it many times since discovering it, though. It is one of the true gems of 1939 and I've noticed has been shown with some frequency (for a Fox film) on TCM over the past couple of years. As I recall, Myrna Loy enjoyed the occasional chance to play a "bad" woman. I think she commented that only Darryl Zanuck saw her potential to play the dark side. Would've loved to see her paired with Tyrone Power again. And George Brent. He seems to have been all but forgotten, but a plum role like he had in "The Rains Came" illustrates just how effective and appealing he could be. 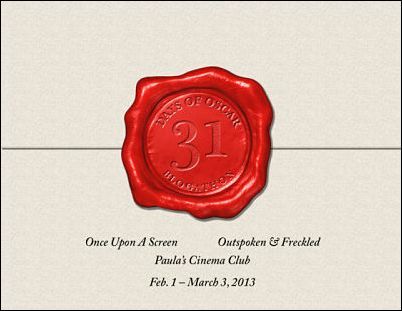 Thank you for your 31 Days of Oscar, selection. I have never seen this film, but.. after reading your awesome review and watching the amazing flood scene, I will look for it.. I just got home in time to see the last 15 minutes of what looks like a very beautiful film.. The ending is very sad... Also.. what beautiful costumes.. Dawn, I'm glad you had a chance to catch a glimpse of "The Rains Came." As Christian said, it is one of the gems of 1939, beautifully filmed and scored, romantic, spectacular f/x, great performances by great stars and supporting players (Jane Darwell and Henry Travers are also in the cast) It is much less well known than it should be. Man, can you write!! Gorgeous imagery both in your words and the pictures you chose to include! Wonderful entry to the blogathon. I taped this earlier today on TCM and now cannot wait to see it. Kudos! Thank you, Aurora (you made my day)! So glad this post helping to inspire interest in an under-appreciated classic. Congrats on a great blogathon, by the way. Excellent review! I love this movie, and feel that it is often overlooked-particularly as one of the many classics in 1939. The disaster scene is a nail bitter and looks great! It shows how good special effects can be without computers. I also enjoyed the mini-history of special effects. What a great post! As a fan of Miss Myrna's, I'm surprised I'd never heard of it. I guess with everything else going on that year, it's been kinda overwhelmed but that's too bad. That's an impressive budget it had, and it looks like they put it to good use. Gal, I think you will like "The Rains Came." Myrna is at her best - convincing as a calm, cool and collected seductress who loses her moorings when disaster and love seem to hit her at the same time. She never misses a beat as her character begins to transform into a good woman. Really one of my favorite performances of hers. I know virtually nothing about this movie, and why is this!! Thanks for a great review and all the background info. I'm looking forward to seeing this. R.A., Good to hear from you. I know you are, like me, devoted to TCM - where not a lot of Fox films are shown - so the chances to see "The Rains Came" on TCM have only been occasional. I've heard Fox & TCM finalized a licensing agreement not long ago, so hopefully more from Fox's Golden Age era will be shown. Great post, Lady Eve. I am always a little conflicted about Power, but this is one of his best. Myrna was so versatile. Was she ever bad? I don't think so. Chick, I haven't seen a bad performance from Myrna Loy yet. I agree this is one of her best - given a character with some dimsenion, she's allowed to stretch and show what she can do. Zanuck borrowed her for "The Rains Came" - which came as a surprise. She'd worked with him at WB and felt he didn't think much of her as an actress. Because Zanuck started as a writer and was focused on writing and story values, Myrna believed "he wasn't as concerned with finding vehicles to fit a particular star's personality as they were at MGM." This had a negative impact on many of Fox's stars - including Tyrone Power. He should've gone freelance like Cary Grant and others, but didn't. After "Marie Antoinette" Zanuck refused to loan him out but didn't mind assigning him to mediocre Fox pictures just to add star power. I'm also very fond of this film. It's a great favorite of mine, and the special effects still impress today. I think it's probably George Brent's best performance, and Loy's is probably in her top five. Interesting what Brent and Loy could do when away from their home studios. And when anyone says Nigel Bruce always played the same bumbling Englishman in every film, show them "The Rains Came." Fox remade the film in the 1950s as "The Rains of Ranchipur" in Technicolor and Cinemascope. It's not as good, with Richard Burton and Lana Turner taking on the Power and Loy roles. It's watchable, but not particularly engrossing. But Hugo Friedhofer's score is one of his best, and may be the best thing about the remake. Kevin, I read your review of "The Rains Came" of a year or two ago - very nice work. So glad another fan is chiming in - I've been surprised at how many aren't familiar with it. Seems to be under-appreciated to the point of under the radar. George Brent has a great role in Tom Ransome and also some of the film's best lines (as when Lady Esketh asks him if he's sober enough to drive them to the party and he, downing his drink in one gulp, answers, "Almost."). He adds what is close to comic relief at times, which adds to the movie's appeal. I've seen "The Rains of Ranchipur" but not for many years. I used to confuse it with "Elephant Walk," the Elizabeth Taylor vehicle that was out around the same time. Read an interesting review of "Ranchipur" online in which the blogger called it "The Rains Came"-lite, with all the strong women removed. Wow Eve, Tyrone was sure busy in 1939. Besides Rain he also did Jesse James (a personal favorite)Day - Time Wife, Second Fiddle, and Rose Of Washington Square. Rains is one of the few George Brent performances I really enjoy, and Myrna, well what can I say along with To Hot To Handle, The Thin Man , and Test Pilot some of my favorites from her work in the 30's. Paul, 1939 was a huge year for Ty Power, only 25 at the time. All those hit movies, voted "The King of Hollywood" (which he won three yrs. in a row), plus he married for the first time. Love "Jesse James." I've always liked George Brent (tho mostly have seen him as leading man to Bette Davis), but this is a much more interesting role than most he was given. Also love Nigel Bruce as the insufferable Lord Esketh, the book provides much more background on him - none of it pretty. I've always heard of this film. With this fine write-up I need to screen this. Eve, I haven't seen this version in a long time, whereas it seems like THE RAINS OF RANCHIPUR was on TV frequently during my youth. The original certainly warrants a new viewing based on your excellent review, especially since you thought highly of George Brent's performance. He rarely makes an impression with me, but that may have a lot to do with the role he played. Rick, I never once saw "The Rains Came" on TV as a child. Seems odd, really, since it was a very big film. It had to be Fox's biggest release of 1939 - "Jesse James," in Technicolor, was also major - but "Rains" was Fox's prestige picture. Like Selznick, DLZ loved literary adaptations. I'd say that it's Myrna's performance that really stands out. Ty Power is used as a noble symbol much of the time (he does have some very good intimate scenes with Myrna). But George Brent delivers nicely in the well written role of jaded charmer. Wonderful movie, Eve, and wonderful review! I like this movie very much, love the score, and enjoyed watching it the other day. The 3 main characters are all actors I admire and love watching very much. I thought Loy was always good in her pre-Thin Man days, and remember being surprised at this when I finally got to see her earlier work when I was younger. George Brent is a favorite of mine, and Power is of course always a treat to watch. You did real justice to this excellent movie. Hi Becky, Great to hear from you. Glad to know you're a fan of "The Rains Came" (but not surprised). Myrna has never disappointed me - from "Arrowsmith" to "The Mask of Fu Manchu" to all of her great "perfect wife" roles, her TV turns and later (smaller) performances. I haven't seen everything she's done, but enough to know she was a fine actress as well as a movie star.